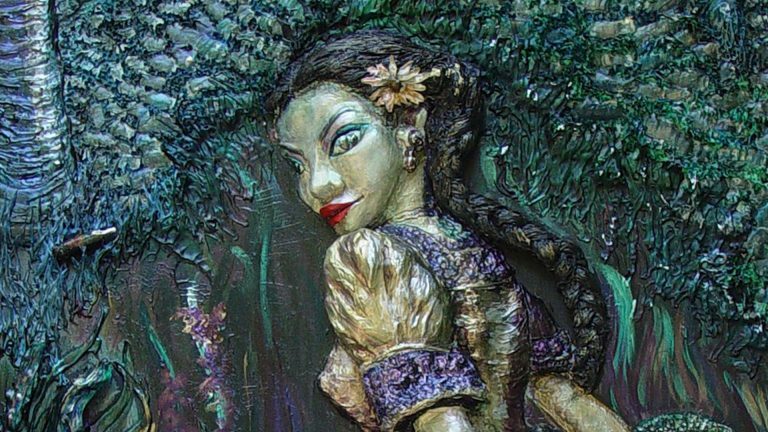 Tata Duende is a nature spirit that protects the jungles and waters of Belize. Xtabai is a shape shifting seductress that roams the jungle roads at night. GrisDismation present Legends of Belize to students at Xaibe Elementary in Belize. 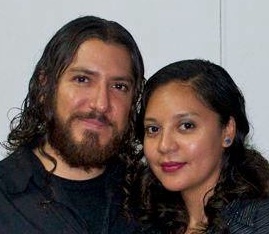 Dismas and GrissyG interview Mayan Priestess, Maria Garcia, about Tata Duende on the Boogeymen documentary TV series. 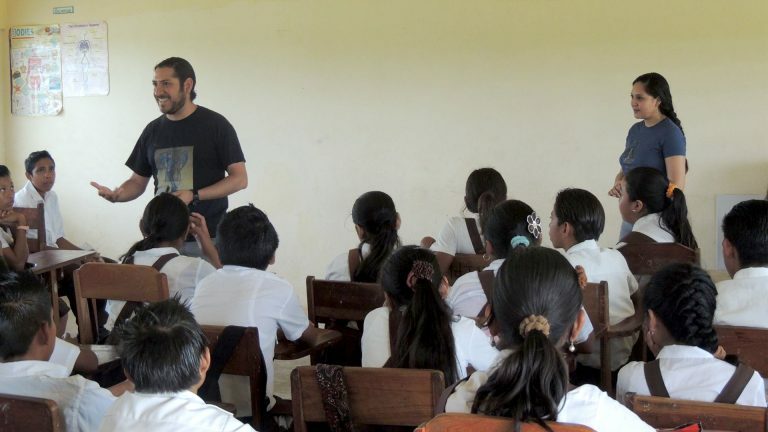 Presenting to students at Escuella Mexico High School in Belize. 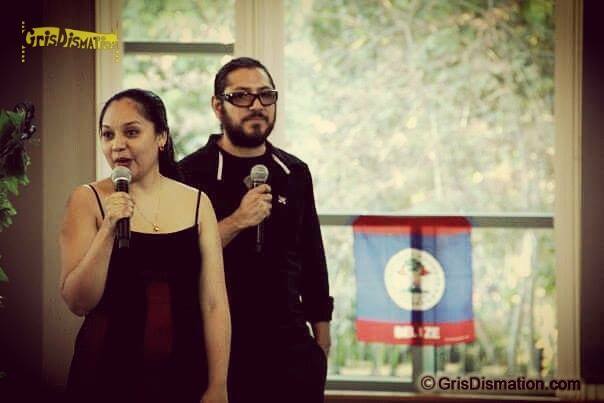 Dismas and GrissyG speak at Legends of Belize Book Release, CSUN, California. Artists, GrissyG and Dismas established GrisDismation in 2003, as their collaborative signature to produce out of the ordinary Art and Animations that fascinate, inspire, and entertain. 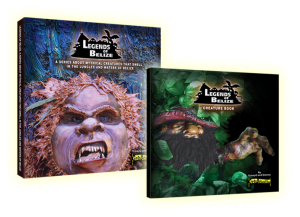 With over a decade of research and dedication learning about Belize culture and folklore, they are experts in the field of Belizean mythology. Authors of two books on the mythical creatures of Belize, they have presented at Universities and schools since 2004 in California and Belize. The Legends of Belize series have captured the interest of many in addition to the Daily News in Los Angeles California, Channel 5, and Love TV/FM News in Belize, and was also featured in a documentary airing worldwide. There are monsters of scary stories and nightmares but in Belize, Central America, there are terrifying legends about creatures that roam the jungles and waters. We remember the warnings told to us by our grandparents and elders about horrifying creatures, when growing up in Belize. 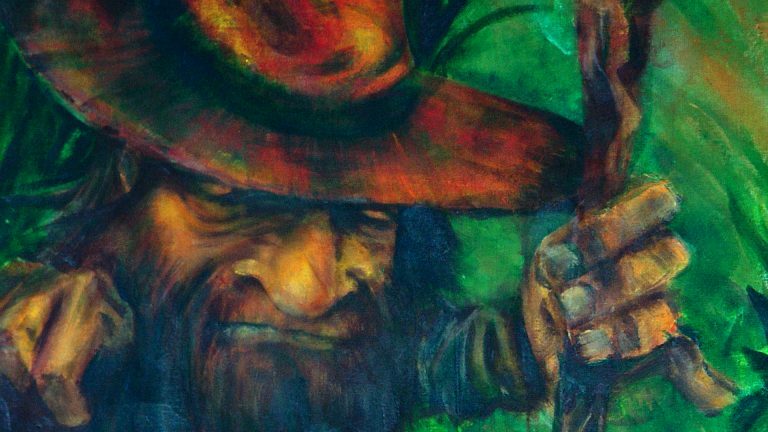 Some stories were about an encounter with a hideous gnome who protects the jungles and is known to rip your thumbs off, other stories were about a seduction from a shape-shifting demon that would take you into the jungle to end your life. As Artists of the 21st century we collaborated to document and share the myths of our culture in a series titled: Legends of Belize. Born in Corozal Town, Belize, Central America, we met in 1999 in art class while earning our Associates Degree at Los Angeles Mission College (LAMC) in Sylmar, California. In 2003 during Painting class taught by Barbara Kerwin, studio Arts chairwoman at LAMC, we began the series titled Legends of Belize. To develop Legends of Belize, information was compiled from childhood memories of tales, books, Internet research, and interviews with family, and fellow Belizeans. Sketchbooks were filled with our concept drawings to develop the mythic creatures with visual clues and iconography of our Belizean culture. Art logos also incorporate each individual myth and the series in graphic text form. We collaborated both conceptually and physically to sculpt and paint the creatures in our unique styles and mediums to bring the myths into this century like never before. 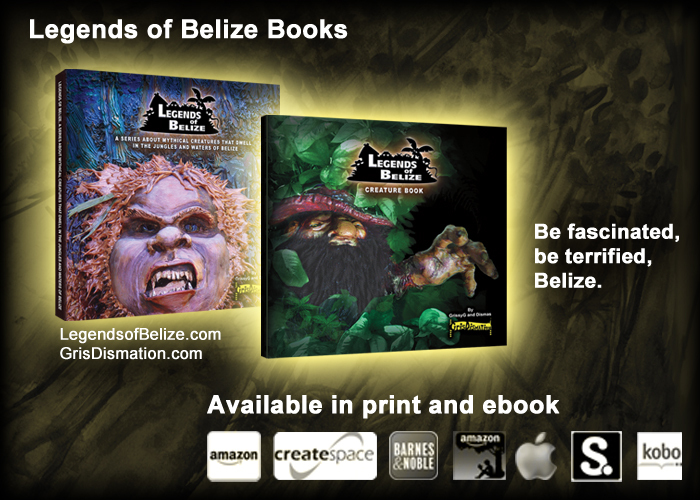 Legends of Belize is a series of 14 paintings, 15 graphic art logos, 14 descriptions, 2 books, and currently in production; animation and films, which capture and document the Belizean mythological creatures that have taught, scared, and intrigued people for many generations. 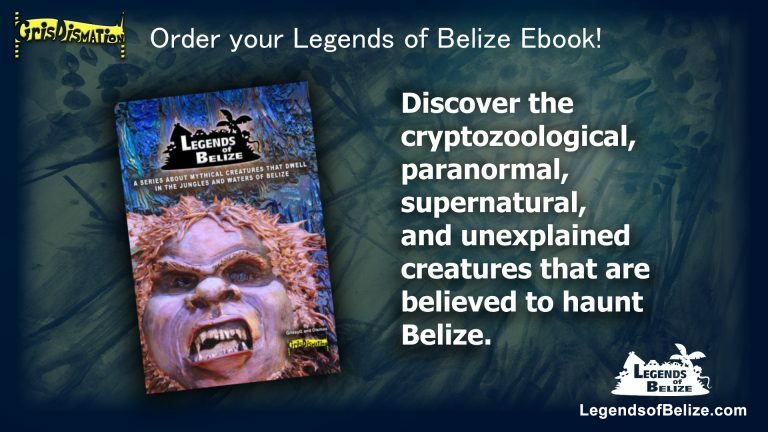 Legends of Belize is a fascinating, terrifying, informative, and cultural experience for everyone. Discover Tata Duende, a legendary jungle gnome and other ancient Central American mythology from Belize with an entertaining and educational slide show and presentation titled, “Legends of Belize.” Learn about Belizean landmarks, iconography, and the importance of diversity and mythology in culture. Visit our website www.LegendsofBelize.com for more info and to reserve your date for the Legends of Belize Slide Show and Speaking Presentation. Also be sure to inquire about special package discounts. The Legends of Belize slide show and presentation is a fascinating and educational topic for your audience. 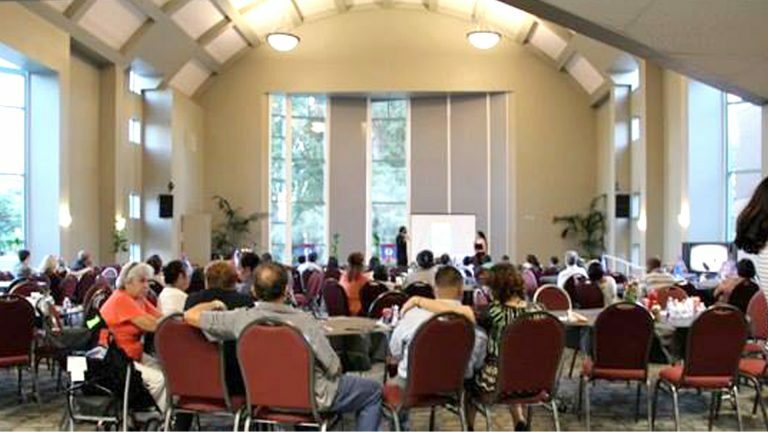 We also provide presentations at keynote speaking events, paranormal conventions, museums, galleries and more. Radio and TV journalist and host of “Belize Watch” in Belize. 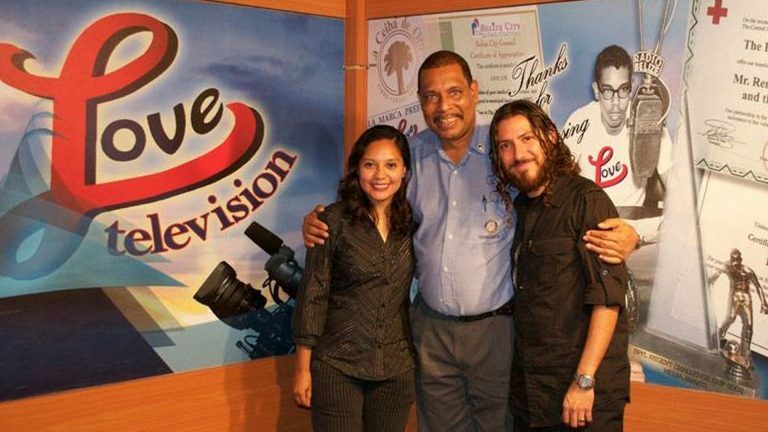 “Belize Watch” TV’s host on LoveTV, Rene Villanueva Sr., interviews Dismas and GrissyG about Legends of Belize, the art, process, and stories that inspired the series. Need custom illustrations, graphic designs, storyboards or an animation for music videos, commercials, film, and more? GrisDismation is an Independent Art and Animation studio established by Dismas and GrissyG since 2003 to produce original Art and Animation that inspire, fascinate, and entertain. We specialize in frame by frame hand drawn digital animation.